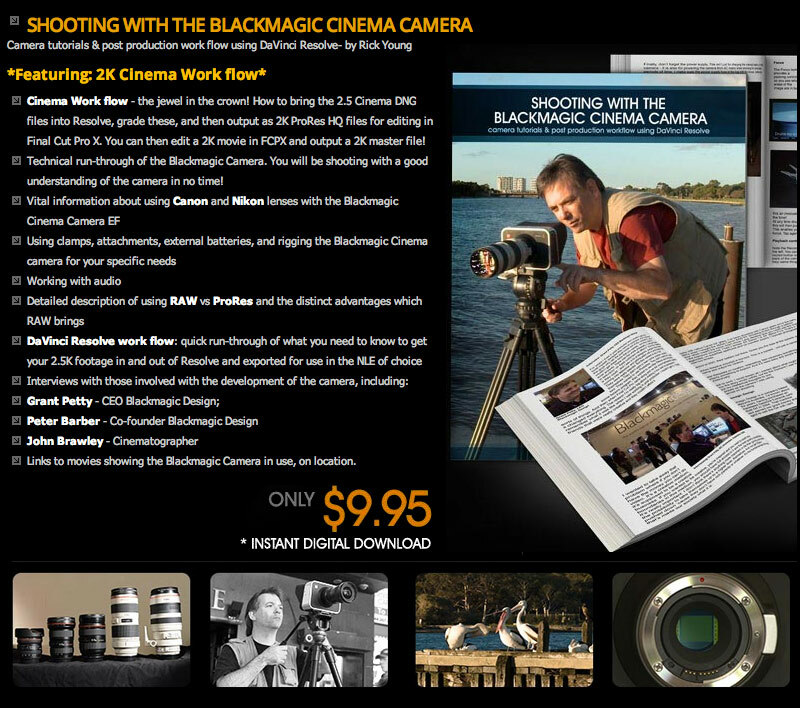 Rick has been busy, not only producing a 222 page book all about FCPX but today launches his new book all about the new BlackMagic Cinema Camera for a fantastic price of $9.95. It’s not quite finished but my new 27″ Thunderbolt enabled iMac runs as sweet as a nut with my Pegasus R6 Thunderbolt raid attached. My mammoth edit about Type one Diabetes is almost loaded with some residual filming still to do and how good are those Canon C300 pictures, every interview bar two was done with my C300. The other two were done with a Sony FS100 and a JVC HM650. The 27″ iMac has 32Gig of RAM and a 768GB SSD drive, the iMac is up and running in about 5 seconds with all apps instantly available. FCPX is now ready for serious editing and with the ability to add Keywords to specific footage it’s become way more accessible than FCP-7 ever was, no more trawling through the footage to find interviews, you just add a Keyword and a name…it’s that simple. FCPX does still need some extra sound tweaks but it’s now head and shoulders ahead of FCP-7, Premiere Pro CS6 and Avid…in my opinion. Having USB-3 is also a major for ingesting you footage off card, I bought a Lexar USB 3 reader (CF and SDHC), mind you the upload speed depends on the transfer speed of your memory. NOTE : The SDHC part of the Lexar Professional card reader is far from satisfactory as it’s very footery to insert the card. The good thing for me is having one computer for editing and one for Motion 5 graphics, speeding up the whole process and best of all having two edit suits with the older MacPro as a good back up if needed. Just remembered I had this…a brand new boxed wide angle lens for the Canon XF100/105 camcorders. It’s in mint condition and selling for £200 less than major retail outlets. Send me an email to hdwarrior@me.com and I will send you a PayPal request. UK sale only please. 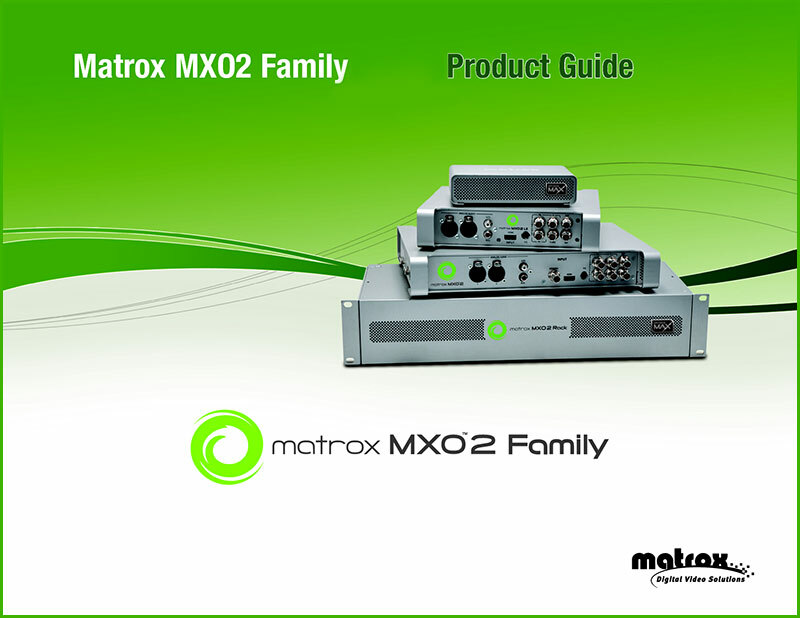 Matrox® Video Products Group has announced the immediate availability of a unified Mac driver that provides support for the latest Adobe, Apple and Avid editing apps for Matrox MXO2™ and Matrox MXO2 MAX™ families of I/O devices and the Matrox Mojito MAX™ I/O card. 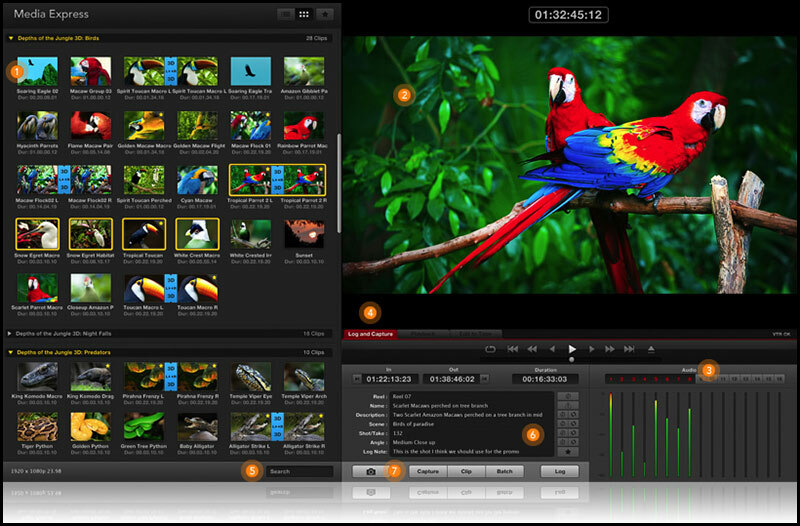 Key features of the release include support for audio punch-in using Avid editing applications as well as support for recording voice-overs using Adobe Premiere Pro. Support for Mac OS Mountain Lion 10.8.2 and Lion 10.7.5. Adobe Premiere Pro 6.0.2, After Effects 11.0.2.11, Encore 6.0.1.013, Media Encoder 6.0.2.81, Photoshop 13.0.3, Prelude 1.0.2, and Audition 5.0.2. Apple Final Cut Pro X 10.0.7 and Apple Compressor 4.0.6. Avid Media Composer and Symphony 6.0.3 and 6.5.2. Support for a Matrox CompressHD card on the same system. Support for the I/O hardware release feature in Avid Media Composer and Symphony 6.0.3 and 6.5.2. Support for recording voice-overs using Adobe Premiere Pro. 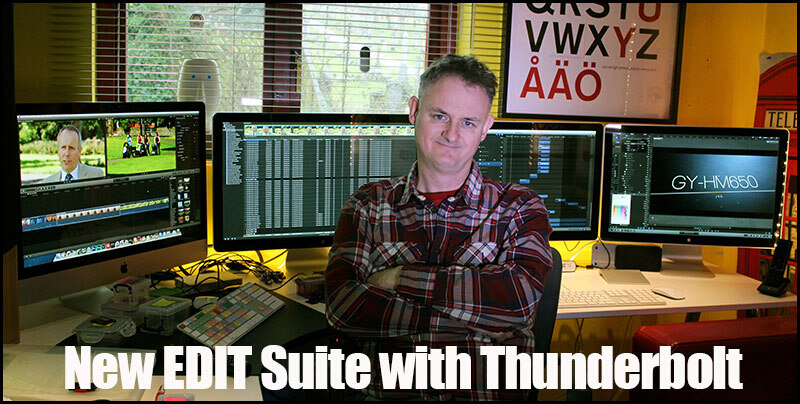 Support for audio punch-in using Avid Media Composer and Symphony. New Matrox MAX H.264 encoding presets in Apple Compressor and Adobe Media Encoder for Apple iPhone 5. Support for the new Matrox MXO2 Dock docking station. HDW : It’s a disgrace that Matrox have taken this long to bring video editors up to speed, I covered this topic back in June 2012 then decided to jump ship during August 2012 and bought a BlackMagic Design Intensity Pro card and sold my Matrox MX02. If you need to ingest anything other than card like an older SVHS tape you still can’t do this with a Matrox MX02 that’s where BlackMagic play a big part in giving you the added software of Media Express that allows you to import footage from any analogue and digital tape source via a break out cable. 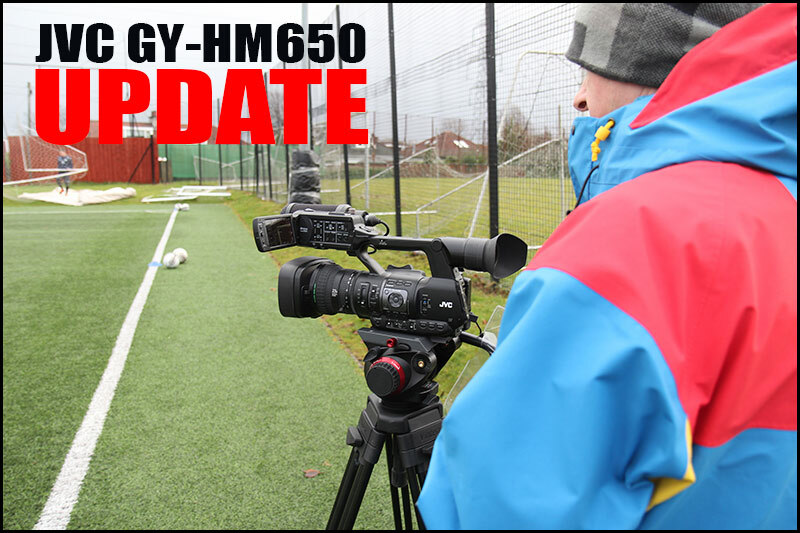 I am working on my update for the JVC GY-HM650 video this week but having worked with the camcorder over the last few weeks am now looking back at my footage and reflecting on how the camera performs. I had a couple of the boys in last week, Sean and Graham having a look at the JVC 650 against Sean’s Sony NX5, the main difference is the amount of light the 650 soaks in at 0dB compared to the Sony NX5. Secondly the sharpness of the LCD was streets ahead of the NX5 which was slightly blurry compared to the 650. Sean decided the JVC GY-HM600 was the camera for him as the extra features on the 650 were not enough to justify the extra cost. The Sony EX3 had the edge over the 650 when it came to low light but the EX3 does have the advantage having 1/2″ sensors. The Sony also scored with it’s 14x constant aperture lens. The JVC with it’s massive 23x lens needed an extra 3dBs of gain to compensate for the drop in light levels at the tighter end of the lens. The two cameras were very well balanced colour wise but the JVC has a deeper and more natural colour. The JVC was far superior noise wise but it’s a compromise…the Sony is certainly noisier at 0dB but the JVC uses a Digital Noise Reduction (DNR) circuit to get rid of the noise which although had 3dBs extra it still performed better than the EX3 but caused a very slight image smear in pan shots only noticeable in lower lighting conditions. Update. Once again this DNR is a version one firmware (FW) as per the pre production model and JVC will be updating this in an up and coming FW. 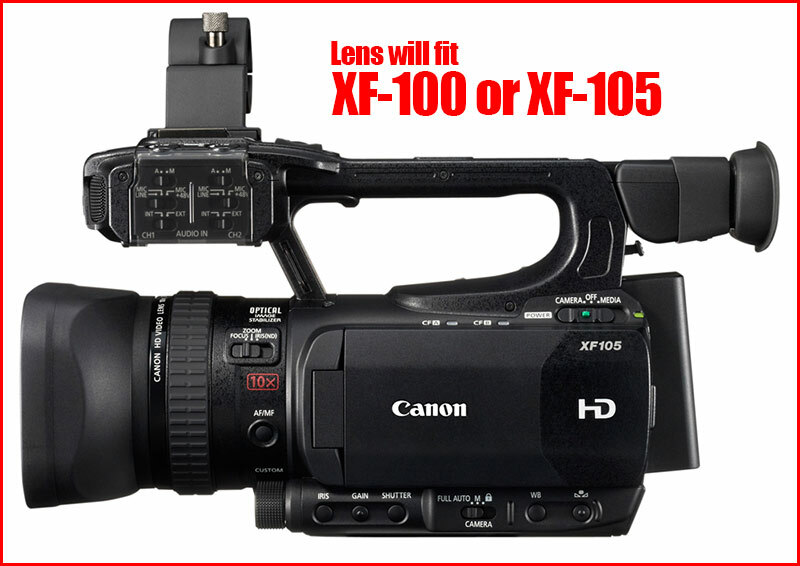 On the whole the JVC performed exceptionally well compared to the Sony EX3 and is still one of the best 1/3″ camcorders on the market today with the Panasonic 160A coming a close second. Firstly the JVC GY-HM600/650 is very good at 0dB and outperforms the Canon XF305 and the Sony NX5 at 0dB. My GY-HM600 review only tested the camera up to 6dBs because thats all I needed to get a properly exposed night shot at my local shops with street lighting. 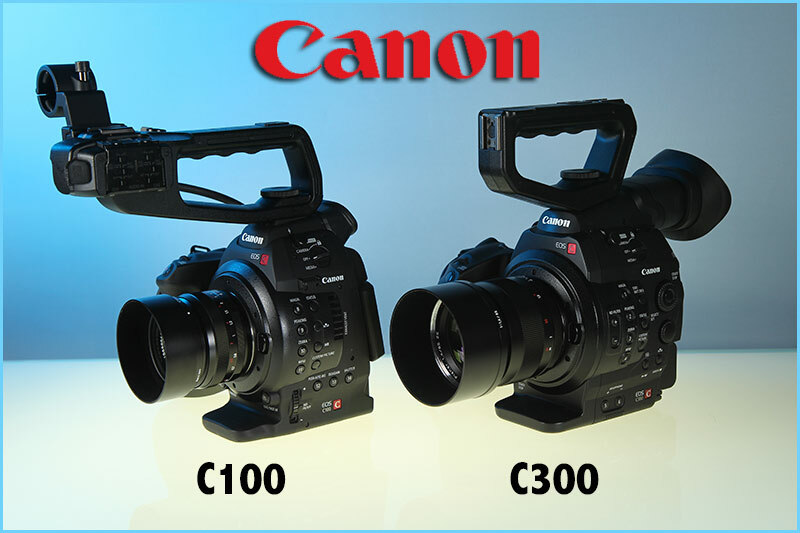 The camera is more sensitive at 0dB than most of the 1/3″ competition, if you want noiseless pictures at 18dBs then use a large sensor camera like a Canon C300. 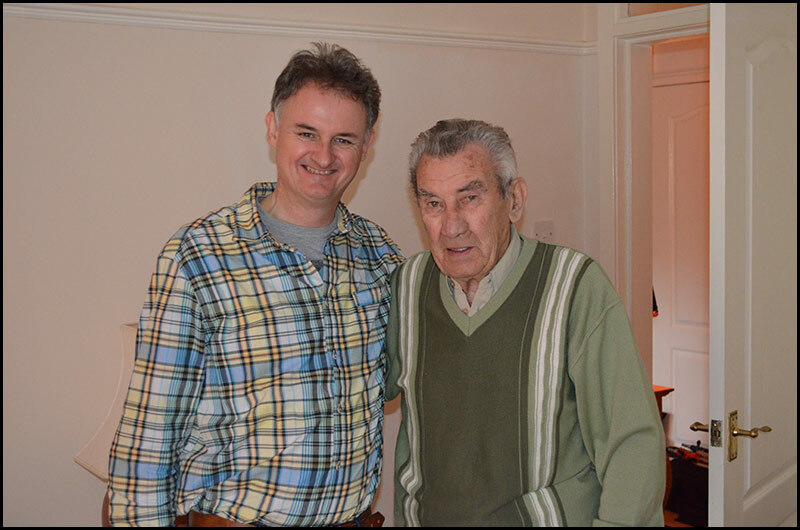 We went to Sean Fallon’s home during 2011 to do an interview with him for my son’s blog The Footy Blog.net and today I discovered he had passed away this morning. Sean was a good friend of my fathers which gave us access to a Celtic legend that would have been impossible otherwise. Sean was a very kind man, when I was a wee boy my father was best friends with both Sean Fallon and Jock Stein, we used to visit their houses at least once a week and thought nothing of it. My love and best wishes to Myra and all her children in these hours of sadness. Today I would like to share this 20 minute tribute to Sean Fallon as he was one of Scottish Football’s true legends. It was filmed with a Sony NX70 and a Sony FS100. 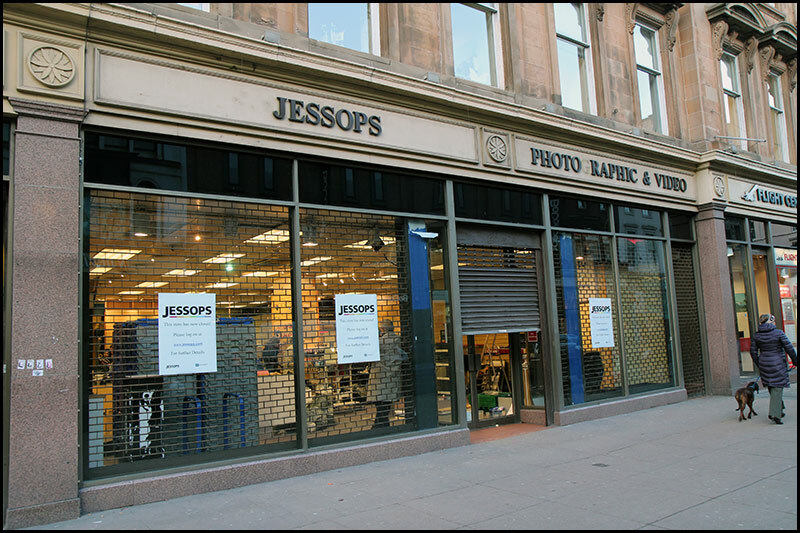 Just before Christmas we lost Jacobs photographic store, before that Photo Factory and now Jessops, Glasgow city centre has only one small camera store left, Merchant City Cameras. Merchant City Cameras are a family run business based in Parnie Street, Merchant City, Glasgow and is owned by Jim Dobbie, his daughter Kimberley helps dad run the shop. I bought a new Sigma lens from them last year, Jim and Kimberley are very pleasant to deal with. The store is a combination of the new and second hand with a great selection of second hand lenses in the window, they are also one of Scotland’s premiere telescope suppliers. It’s not a Jessops by any stretch of the imagination but a more personnel, informative experience something lacking in the likes of Curry’s who also sell cameras but don’t have people who are passionate about the product. 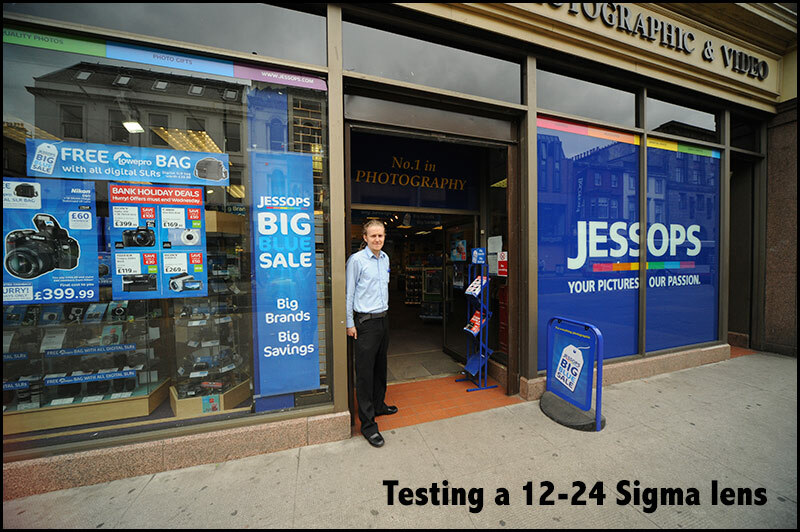 Jim still thinks he is dreaming, with Jessops closed it has taken Merchant City Cameras to the number one pole position and this week has been one of the busiest weeks in January he can remember. Just outside the City Centre is Calumet located at Oakbank Ind. Estate just off Garscube Road, a major UK chain of photographic retailers selling everything from cameras to video and lighting. Calumet was once the only place for the professional photographer but has expanded it’s appeal to a wider audience. 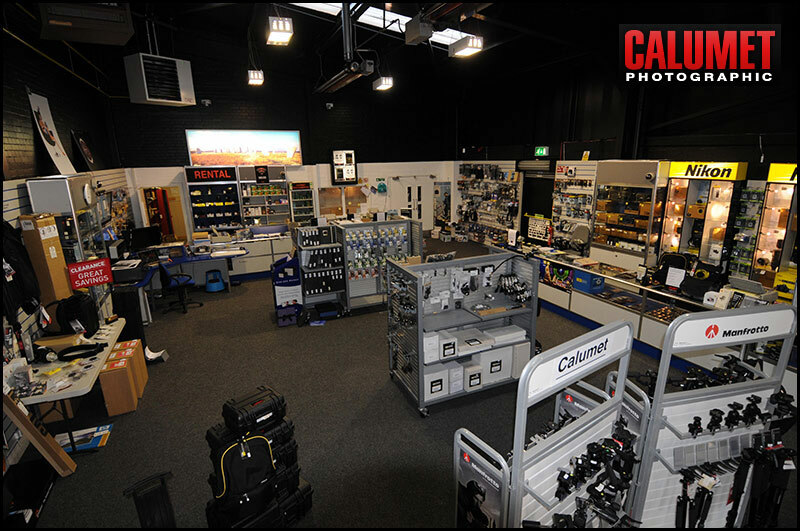 Calumet has a significant stock of both Nikon and Canon camera body’s, lenses and has a rental department. 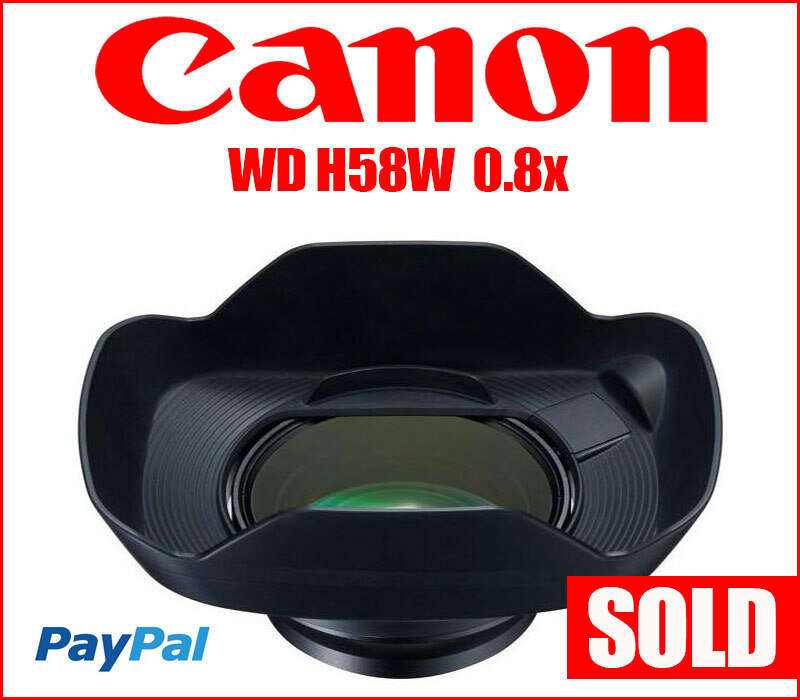 It’s the only place in Glasgow to stock some of the dearer professional photographic lenses that you can try before you buy. Jessops was good not only for it’s locality but were also happy to let you try lenses before you bought them. 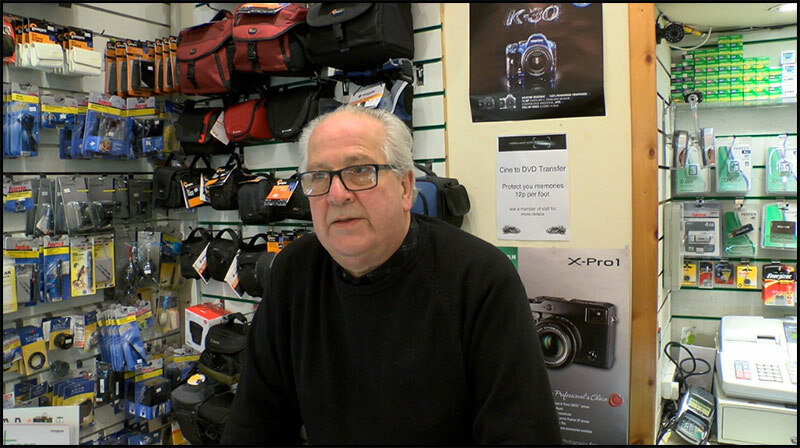 This is me taking a picture outside the shop about two years ago and an assistant keeping an eye on me, it’s a sad state of affairs when you see the shop today, in fact I bought one of my all time favourite cameras from Jessops a Nikon D3. Jessops, Suchiehall street also sported a pro department down stairs where a great range of both new and secondhand equipment was for sale, they also had people who knew the cameras and were enthusiastic about the product, sadly Jessops hierarchy decided to close the pro department a few years ago and instantly killed off many a seasoned photographer in doing so. Glasgow has not woken up to this yet but it’s shameful that such an important resource has gone from our high street, photographers all over the city will not realise it’s effects till they need to try out a new camera or lens. Jessops did not help themselves with over inflated pricing and getting rid of their pro department, the shop badly needed refurbished but that’s all history now the web sites like Warehouse Express can only benefit from a third major high street photographic chain going under but it’s one less place to visit and one less reason for heading up that part of town. The internet could be to blame but Jessops had a fairly decent web presence themselves but items were either not in stock or took too long to deliver not to mention pricing, when I questioned their policy of web versus store price in other words a few items were cheaper on their web site they just shrugged their shoulders. We are now down to two retail outlets Merchant City Cameras and Calumet, lets hope we all take stock of Jessops and support your local store and spend less time trawling for the cheapest on line camera deal ! Simon “Thanks for raising the topic. Its something we should all be talking about far more often. With each new technology, we seem to be going to media with shorter and shorter storage lives. From the age of film and vinyl records which had a very long life; to tape with still a fair life; to DVD/CD/BluRay with about 17 years; to hard disks with about 4 years. I certainly remember when I learnt about the likely lifespans of hard drives, and then was a bit shocked to learn that they can have a much shorter life when they aren’t used regularly. Had been archiving everything to hard drives and placing them in storage at that stage. Learning that and not having tapes to go back to, started me thinking long and hard about how to store all our assets for the long term. Am testing LTO tape – long life but clunky process. In the meantime am working on the basis that we should have three copies of everything and at least one copy kept off site. Like Petter, a Mini and RAIDs works well as part of this. None of this is quick and its proving reasonably expensive. Am looking forward to a better long term approach to archiving media assets. Certainly something to talk more about. HDW : Archive was easy 25 years ago, we had tape and although not without it’s problems it worked very well for archive purposes. Today most of us are stuck with 2-3 copies of important video files on various hard drives. Hard drives are the most common, cheap archiving for todays digital age, Solid State or SSD drives are far too dear and beyond 750GB cost a small fortune. The boys in Japan have never quite conceived the problem with archive and digital media, Sony’s SxS and Panasonic’s P2 cards are a prime example, useless for archive due to cost. 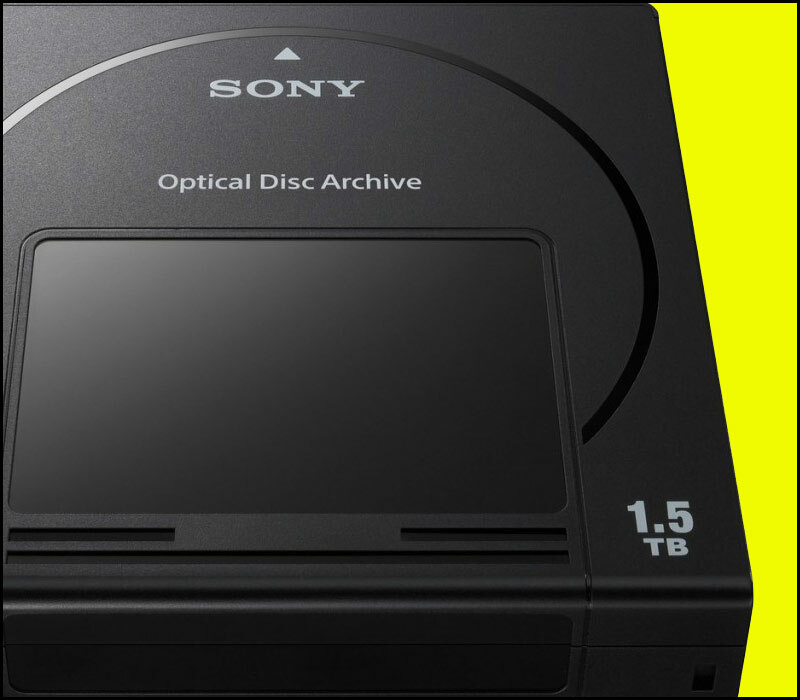 Sony have unveiled their next-generation Optical Disc Archive storage system. The system, which provides guaranteed inter-generational compatibility and ultra-reliable long-term storage, is at the heart of Sony’s vision to create a complete archiving solution for broadcasters, motion picture companies and production houses. A variety of high capacity media cartridges are available for the Optical Disc Archive system, from 300GB to 1.5TB. 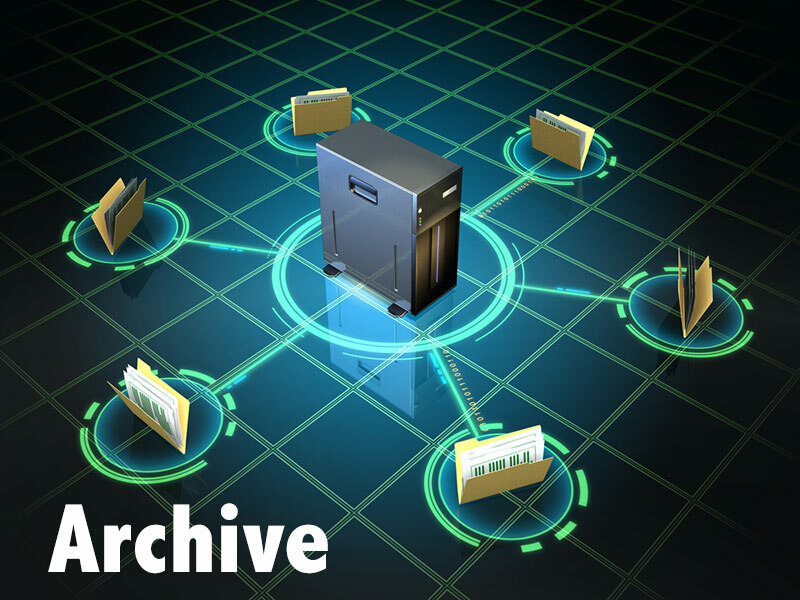 Each cartridge allows random file access using the Universal Disc Format (UDF) system. Optimised for ultra-long term media archiving, the cartridges have an estimated 50 year lifespan and are built to withstand changes in temperature and humidity, and resist dust and water droplets. Each cartridge has a built-in RFID to check the contents of the media with mobile devices for efficient asset management, such as cartridge loaning, stocktaking and shelf archiving. Duncan’s solution “Personally, I keep all my rushes on pairs on USB2 1.5TB hard drives, really cheap and easy to do. The original footage might have been rewrapped to QT or optimised to ProRes, but I will only then archive the assets that I created (animations, AIFFs etc.) and the masters involved. And again this gets archived to pairs of USB drives. If I need to recreate and edit I still have the camera originals, and all the assets it’s simply a case of reinstating them from the archive. On a daily basic, I incrementally backup up my some of my scratch drive, a 2TB internal RAID to a 1.5TB external at the end of each session. Again very easy.My aim to minimise hard drive failure will be to replace the internal RAID every year, only £200 at the most. I might well use 2x 3TB drive once their a sensible price/GB and more reliable.